Did you know there are special animals that can make their own light without batteries or electricity? Light that is produced by a living organism's body is called bioluminescence (say: by-oh-loo-muh-nes-ens). Depending on the species, they may use their glow to attract prey, warn off other animals, scare predators, or to communicate with each other. These are the kind of glowing creatures you’re most likely to see in Canada. They can often be found near woods and fields in the warmer months of the year. Sometimes called lightning bugs, fireflies are actually a type of beetle, and they use a pattern of flashes to attract mates. There are lots of different types of fireflies and each kind has their own special pattern of flashes. 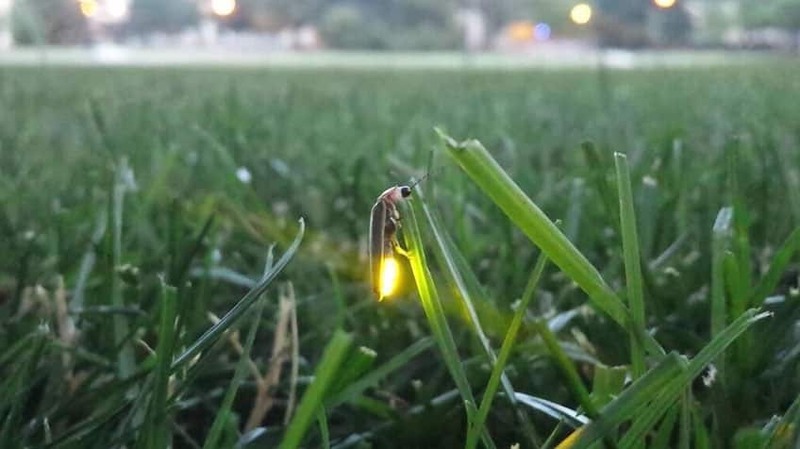 Want to learn more about fireflies? 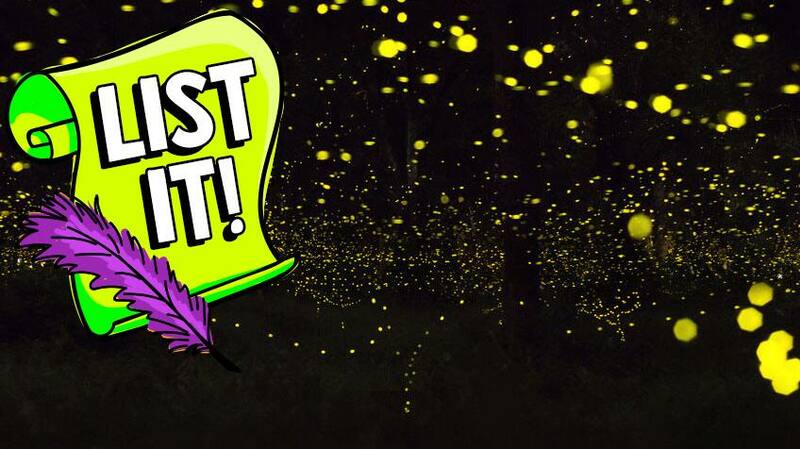 Check out the magical world of fireflies! Inside certain caves in New Zealand, a very special insect hangs from the ceiling, looking like strings of twinkling lights. 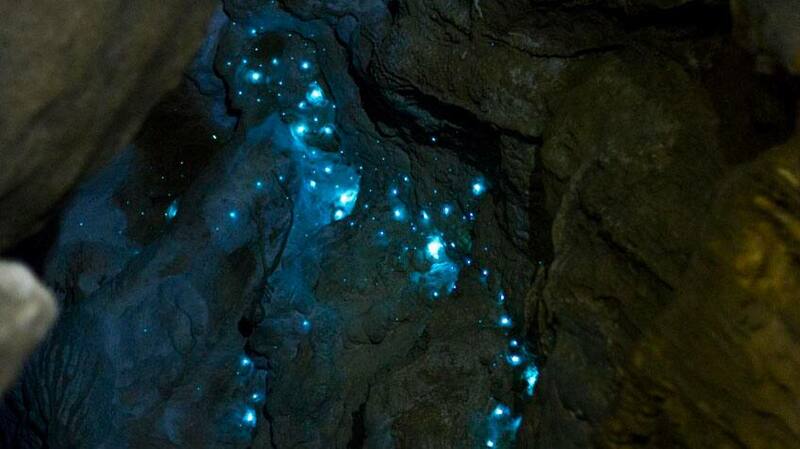 The New Zealand glowworm is actually the larvae of a winged insect. While it’s in this larva stage, the tiny glowworm dangles glowing threads from the cave ceiling. The threads are sticky, like spider webs, and catch tiny bugs that are drawn to the light. Every year, millions of these glittering blue squid visit the waters around Japan. They’re small — only about seven centimetres — but they put on a big show! The squid usually live deep underwater, but every spring they come closer to the surface to spawn. 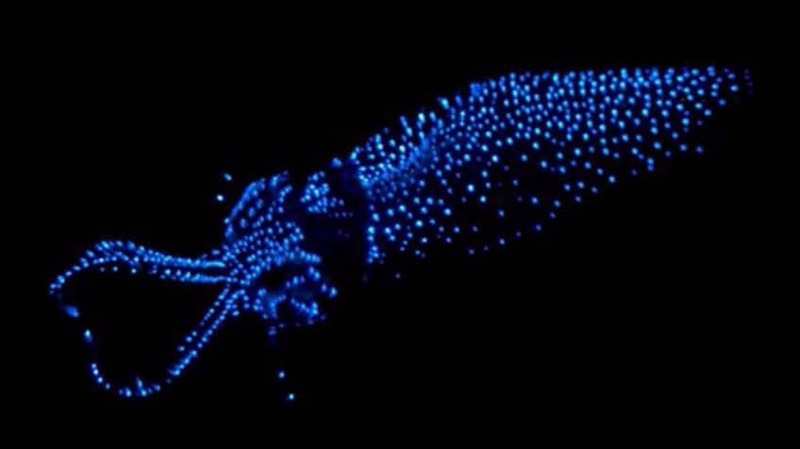 Each one has tiny glowing spots over its entire body and tentacles. On their own the glow they give off is dim, but having so many squid together can make the seashore shine with a blue light. These delicate-looking jellies live in the waters along the coast of British Columbia down to California. The body of the jellyfish is clear but its edges glow greenish blue when it’s disturbed. The crystal jellyfish isn’t just cool to look at — it’s also important to science! 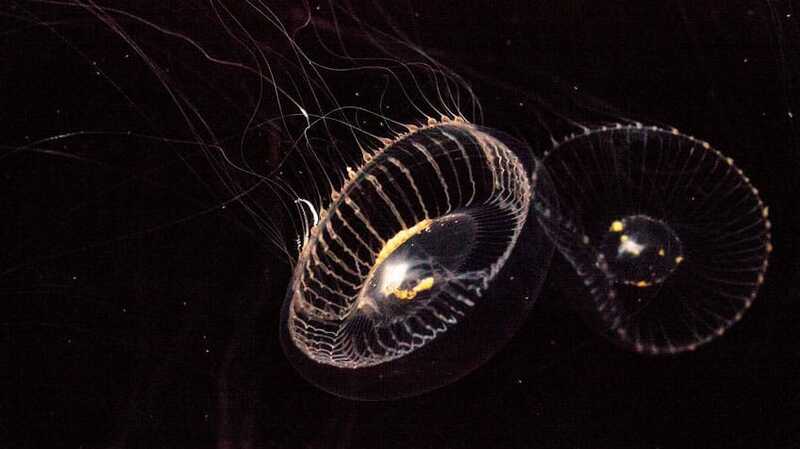 Researchers have been able to take the protein that makes the jellyfish glow and put it in other animals to study and track genes. 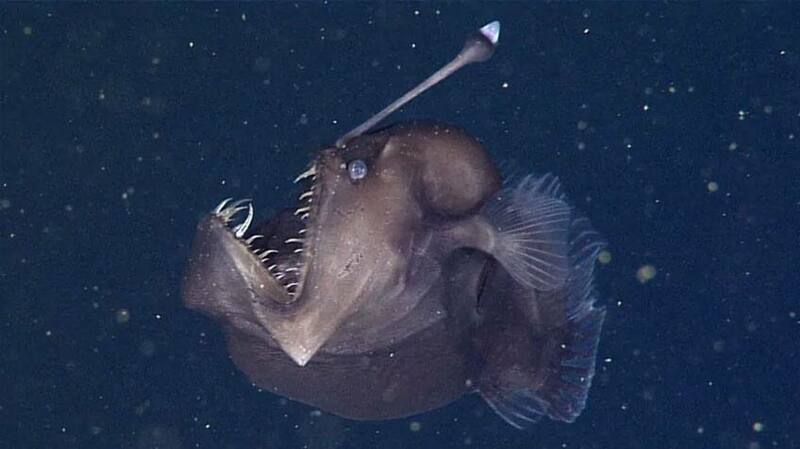 If there was a contest for ugliest underwater creature, the anglerfish would probably win. Most species of this toothy fish live in the deepest parts of the Atlantic and Antarctic Oceans, where it’s almost totally dark. The anglerfish uses the lack of light to its advantage — it has a long dorsal fin that’s like a fishing rod with a glowing end as bait. The light attracts other fish close to the anglerfish’s big mouth. The anglerfish isn’t choosy about its prey — it’s able to swallow fish almost twice as big as itself! Some of the coolest places on the planet!